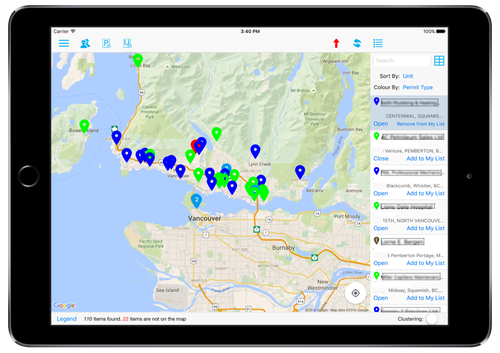 The British Columbia Safety Authority makes use of the 14 Oranges mobile workforce management service to provide a single set of mobile forms to their field inspectors, to gather and transmit data back into their proprietary safety approval process. The mobile application supports both offline and online data collection, improving the inspector’s on-site performance, with built-in data validation capabilities to reduce the need for return visits. This in-turn has increased the number of inspections that their field inspectors can perform in a single day.